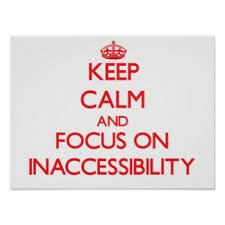 Accessible? No, It’s an old building ……………….. I just got back from a holiday to The Isle of Wight, the first as a scooter user. Rather than “winging” it and hoping for the best that I’d be able to access places easily I decided to face it head on and plan trips in advance. I hoped this would take the pressure off family members and make life easier all round, I feel burden enough without adding access issues to the mix of MS emotions! Its amazing how many times I heard the phrase, “It’s an old building” as an excuse for total disregard of disabled users. One restaurant had 7 steps up to the front door with no hand rails! I can understand not putting ramps all over the place and disabled toilets if a building is listed or old but a lack of handrails makes life hard work for lots of people. Luckily I can handle stairs fairly well with help and The Husband heaved the scooter up the stairs so I could drive around inside. It was a fantastic meal so I was glad I braved the stairs but it made me feel humiliated at times. Another Island attraction boasted that most of its paths were accessible but failed to mention the paths were made of gravel and wood chip so my wheels were spinning all over the place! Again, The Husband pushed me around all day or I’d have been stranded in the woods! On the way back we went to Paultons Park and my faith in society was restored! (www.paultonspark.co.uk) It wasn’t just accessible, they were bending over backwards to accommodate any kind of disability to make nearly everything accessible. I didn’t have to pay to get in and a staff member directed us to get a pass so I wouldn’t have to queue for the rides. Staff members on the rides were helpful and did what they could to help. There was even a booklet detailing all the rides and describing the “skills” needed to manage them, making planning easy. I didn’t feel humiliated and the only annoying thing was being stopped all over the place by people interested in my scooter! I was able to have a great day out with my family. 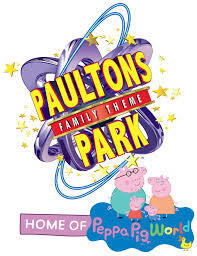 Well done Paultons Park, The Isle of Wight needs to drag itself into the 21st Century and learn from you!